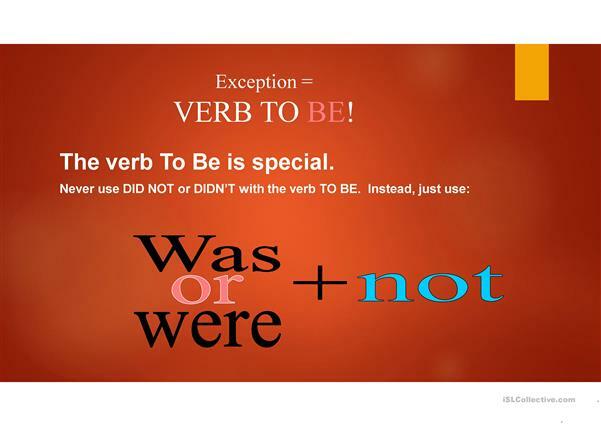 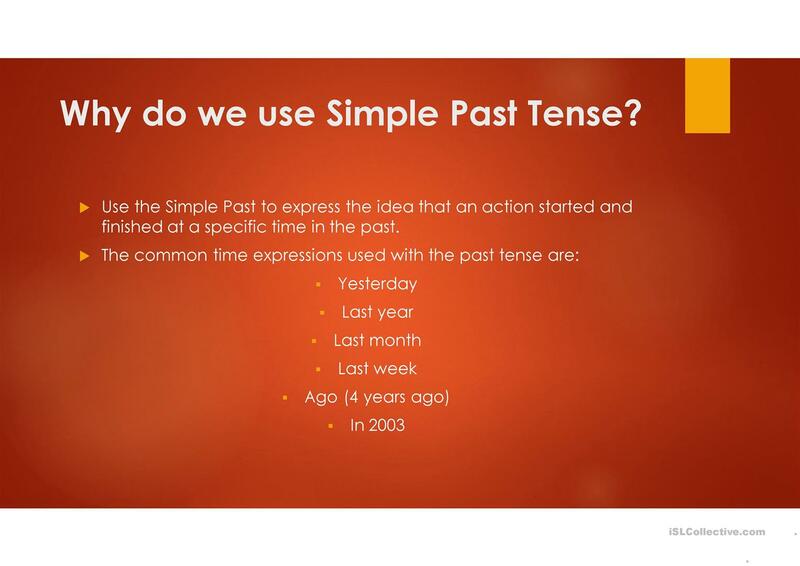 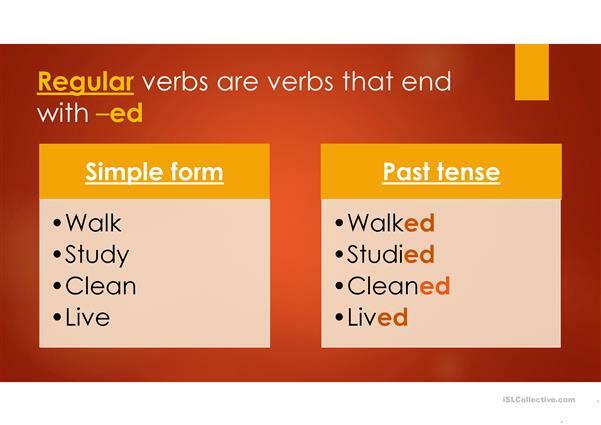 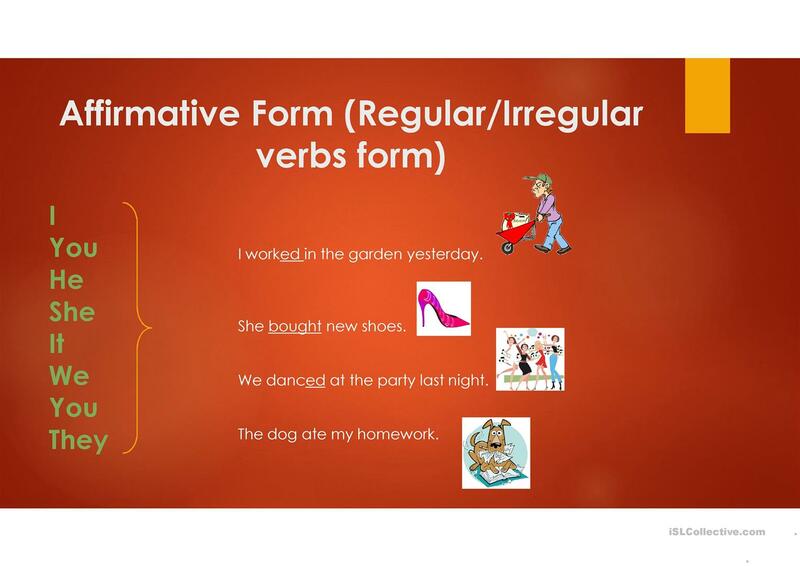 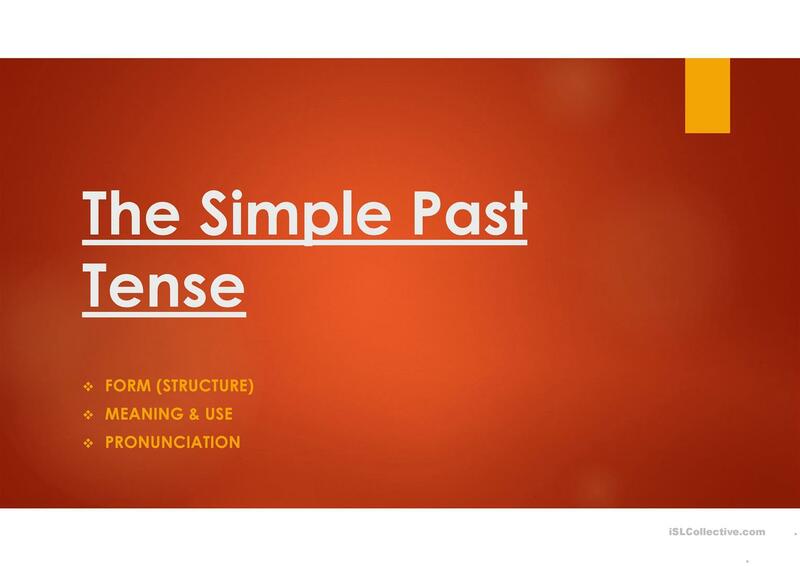 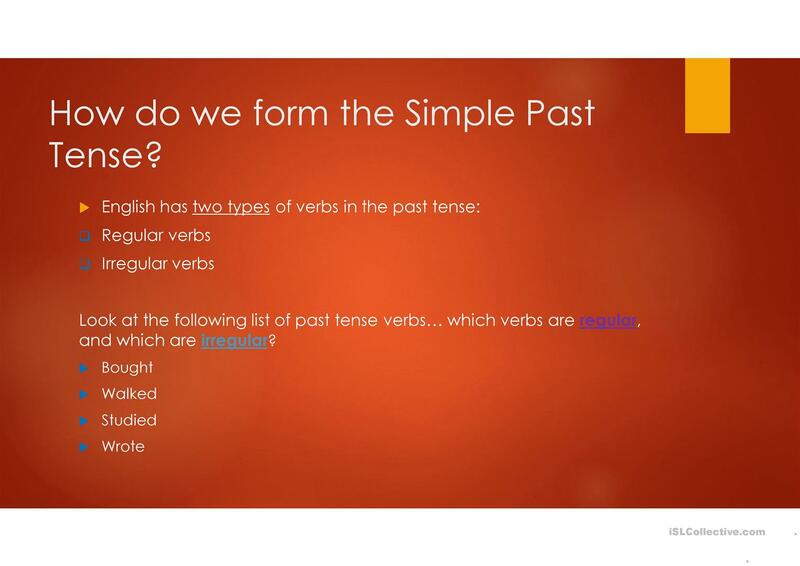 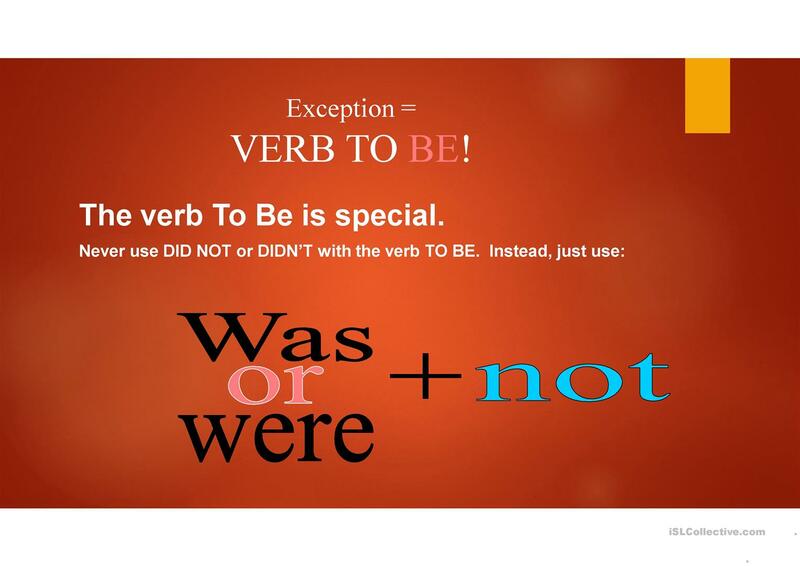 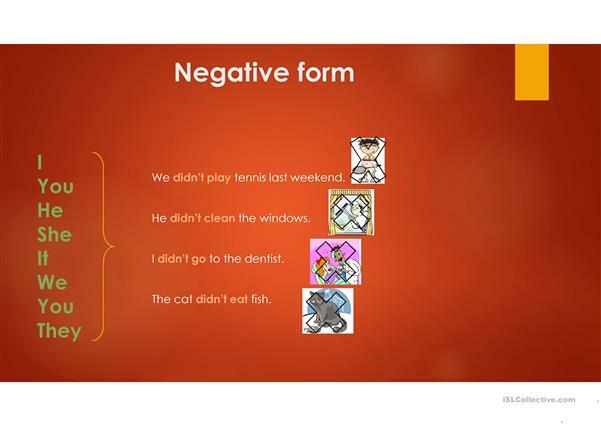 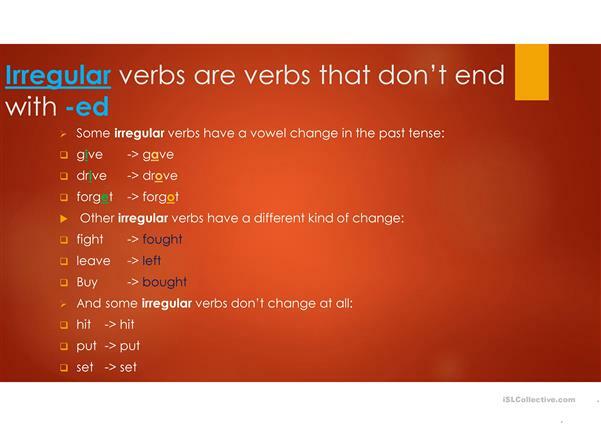 PPT about past simple tense. This downloadable printable is a great resource for high school students and elementary school students at Elementary (A1) and Pre-intermediate (A2) level. 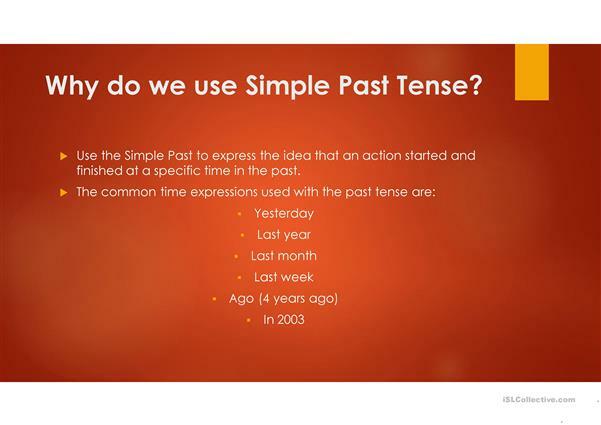 It is aimed at teaching Past simple tense in English, and can be used for honing your class' Reading and Writing skills. 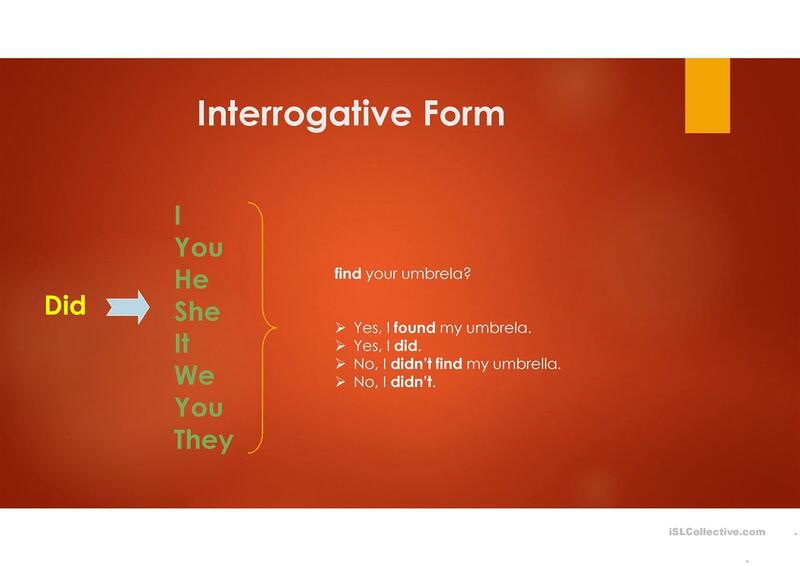 dannygamonal is from/lives in and has been a member of iSLCollective since 2014-05-28 18:36:43. dannygamonal last logged in on 2018-10-17 05:55:01, and has shared 2 resources on iSLCollective so far.